Simple. Safe. Solid. Sustainable. The future of construction. Solid timber construction is the off-site manufacture and on-site assembly of laminated timber components to form building structures and building enclosures. Solid timber construction allows us to construct comfortable and sustainable buildings quickly, safely and economically. The construction sector is responsible for 19% of global greenhouse gas (GHG) emissions and around 50% of the UK’s CO2 emissions. Whilst inroads have been made to reduce the carbon impact of using buildings, we also need to reduce the carbon impact of the buildings themselves – we need to find a better way to build our buildings. Solid timber construction enables us to build buildings with a reduced carbon footprint due to the materials and processes employed. It also enables us to build buildings with a net zero carbon footprint due to the carbon sequestered in the building structure. Solid timber construction enables us to construct the buildings we require without destroying the environment we live in. Solid timber construction is the future of construction, it is also our future. Solid timber construction is one of the most effective ways to avoid unnecessary carbon emissions. Solid timber construction is one of the most effective ways to combat climate change. 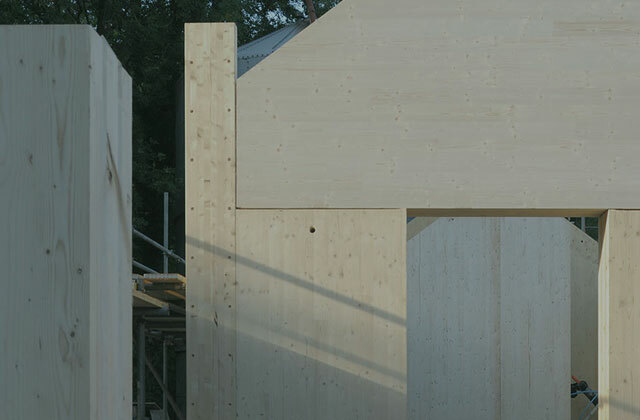 Whilst we are perhaps best known for our innovative use of CLT, our solid timber building structures are invariably the product of more than one type of material and manufacturer since we select our materials according to the particular requirements of the project and aspirations of the client.